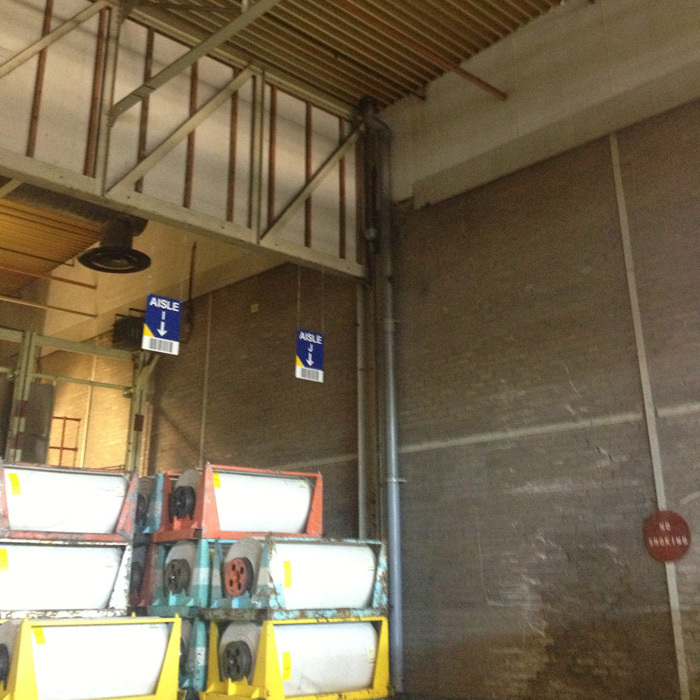 ARDS are currently working with a major International Company in a rolling program of asbestos removals. This has involved the removal of asbestos boarding that was used as Fire Breaks during the original construction of the factory. Obviously the first problem in such a project is access to the material. 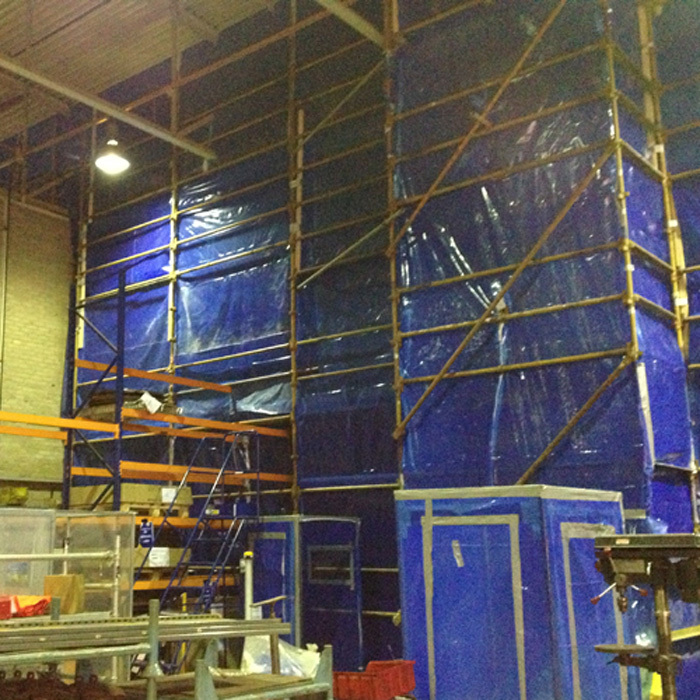 This coupled with the need to create a secure environment to carry out the removals and ensure the safety of factory workers who worked on shifts 7 days a week led to the construction of large scaffolded areas where the enclosures could be erected to carry out the works. 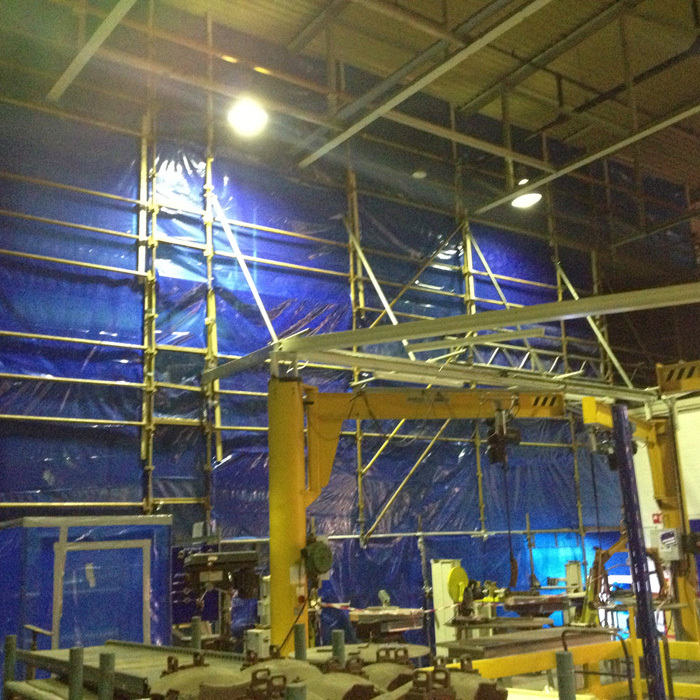 Construction of the scaffold had to be completed in a manner and at a time that did not interrupt the operations of the client including consideration for fork truck operations within many of the areas. This was accomplished with the aid of IAS Scaffolding based in Dundee. Their professional input resolved the access issues of the operation which were solved with minimal disruption. 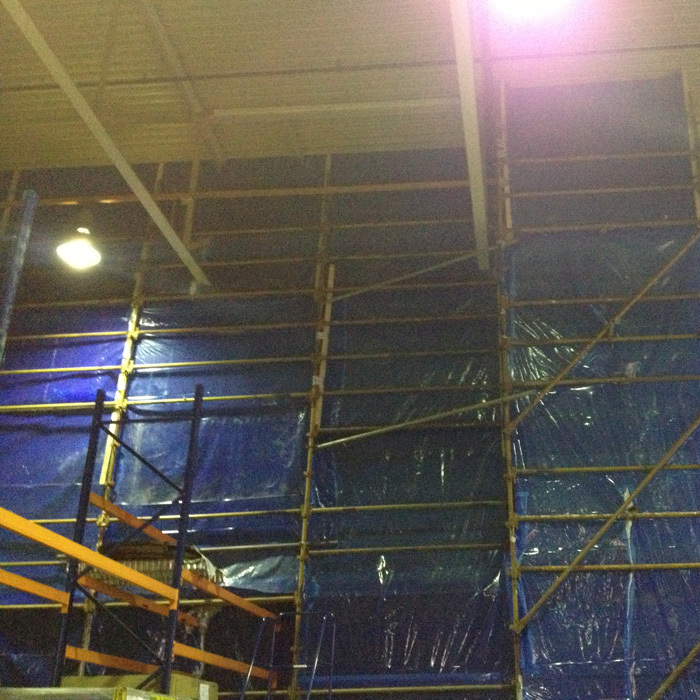 Here we see one such tented scaffold on a gable wall within the factory. In this instance the fire break started only 3.5 metres above floor height and ran full height. All works were completed on time and as a result we are pleased to be returning in early 2015 to carry out the next phase of removals.